Product #60512 | SKU 8-SNR90MM | 0.0 (no ratings yet) Thanks for your rating! Works together with Pro Handle, Monitor Holder, Arri NATO Rosette etc. and is mounted on every accessory by 2 x 1/4 inches screws and hex key. 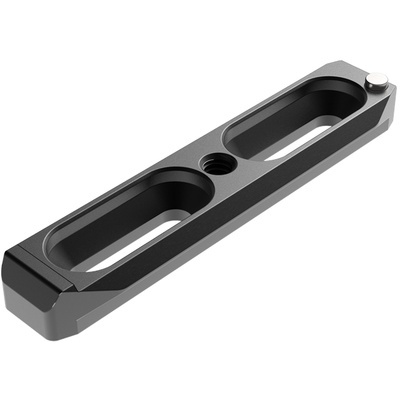 8Sinn Safety NATO Rail 90mm can be used with all accessories that come in NATO Standart. This makes it an universal Safety NATO Rail that works with all brands avaialble on camera accessories market. It was designed to be a part of quick release systems, which enable the tool-free handling.